VICE News Tried Using an Ouija Board to Contact the Spirit of Karl Marx. Seriously. 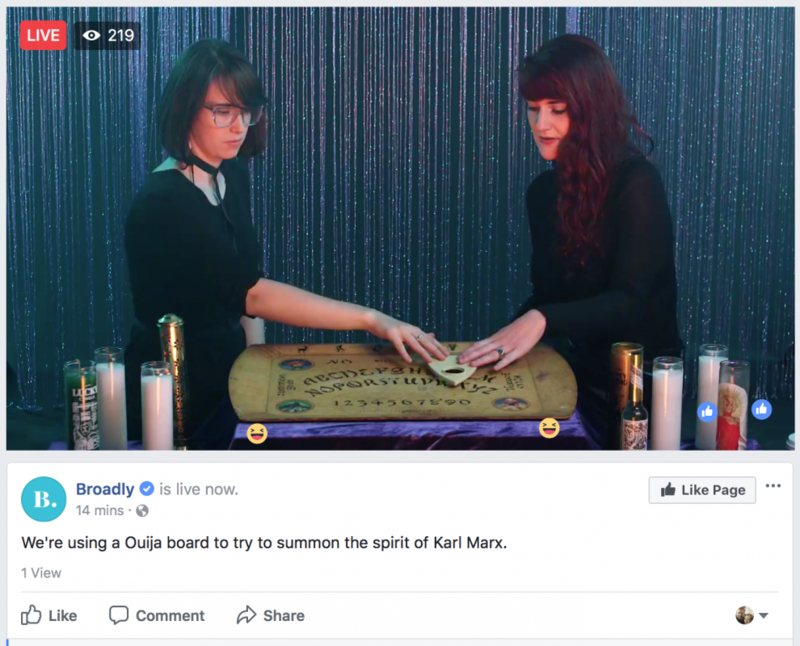 Broadly, a "women's interest channel" hosted by left-leaning media outlet VICE News, actually used an ouija board to try and contact the spirit of socialist philosopher Karl Marx, live on Facebook. The profanity-laden video featured two women (well, they looked like women, but probably go by one of the other 452 genders and identify as "zhe," or some crap) trying to contact Marx's ghost. Instead, they wound up "connecting" with another non-person entity that apparently told them, via their Satanic board game, that it wanted to talk to Monica Lewinski. It didn't say why, though -- although one girl noted it's probably because they didn't bring the spirit an offering to please it, first. Then again, maybe that's why it asked for Monica Lewinski. She'll give up just about anything. The video ends with the Broadly hosts thanking the spirit and suggesting a monthly seance, preferably in a cemetery. I wish I was making this up, but I honestly don't think I could without the help of some serious and highly illegal opioids. Here's this insanity, if you have a bunch of time and a few million brain cells you don't care to hang on to.